A built-out city block lined with century-old homes now can be described as modern to the core. Construction is nearing the finish line on A2, an infill development consisting of six modern-design townhomes tucked between two alleys within a block across South Robinson Street from Cary Street Station. 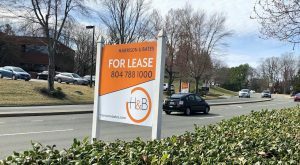 Three of the three-story units have sold, each above $430,000, and work on the rest is expected to wrap up in the next two or three weeks, said One South Realty Group’s Patrick Sullivan, who is marketing the properties for developer Danny Meyer of Dallan Development. The remaining three units will be listed at just below $400,000, likewise higher than originally planned due to additional features such as a second full bathroom in each. Built on one-eighth of an acre between rowhouses lining South Mulberry Street and Parkwood and Grayland avenues, the new townhomes, grouped in two rows of three, loom just above their surrounding neighbors, most built in the 1910s and ‘20s. 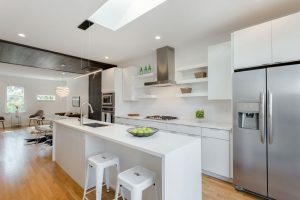 Each totals about 1,500 square feet and includes two or three bedrooms, 1½ to 2½ bathrooms, garage parking and an open third-floor living space with a deck. They also feature dumbwaiters to more easily move items between the three floors. John White of 510 Architects did the design work. The townhomes fill an area that was previously open space and used as parking. A small single-story structure on the site was demolished to make way for the project two years ago. 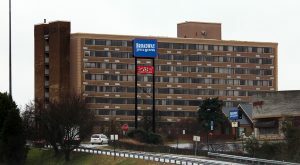 Sullivan said the units were all previously under contract, but those agreements had to be cancelled due to a lapse in the construction schedule. “Because of the delays with the city, people were homeless and we had to let them out of their contracts,” he said. None of those original buyers are among the more recent purchasers. Sullivan said delays in construction also influenced the price points and caused the project, which was announced in early 2016, to go over budget. 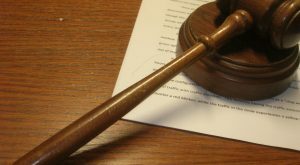 Sullivan did not provide a total project cost and attributed the duration to delays in securing permits from the city. 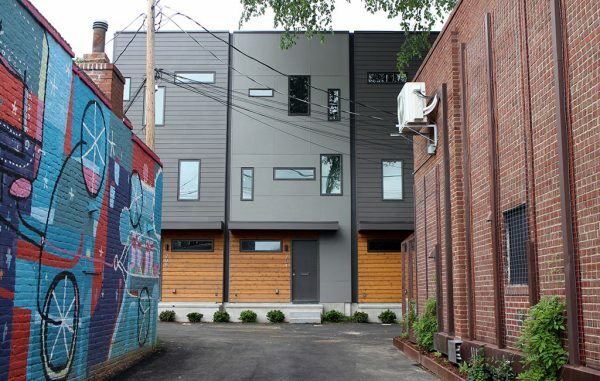 The concept of an alley providing infill opportunity is not new to Sullivan and White, who collaborated with developer Zach Kennedy on a comparable project in Church Hill: a modern-design house along an alley off M Street. That 2,000-square-foot house sold in late 2016 for $390,000. Sullivan said neighbors he has talked to about A2 were initially hesitant about the project but have since warmed to it. “Alleys can become breeding grounds for negative things to happen. 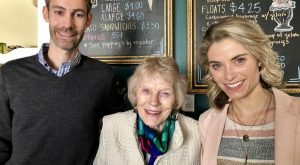 Now it’s brightly lit, it’s had a catalyst effect on other home improvements, and the need for more housing in Richmond and the Fan is exemplified in this project,” he said. 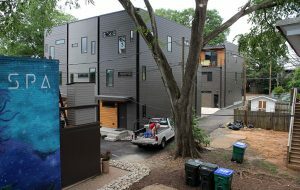 Other modern-design additions nearby include Citizen 6, a line of homes along Floyd Avenue by developer Bill Chapman, and Carter Snipes’ Meridian development, a cluster of eight townhomes at Thompson Street and Cutshaw Avenue in the Museum District. A2 adds to a transforming area around Robinson and Cary streets south of the Fan. Across the street at Cary Street Station, Pizza & Beer of Richmond recently opened as the latest offering from Chris Tsui’s EAT Restaurant Partners. Other recent additions to the mixed-use development include Carytown Teas and Title Boxing Club. 6 Comments on "Modern rowhouses rise between two alleys"
Sweet use of land. Nice work. This neighborhood is not a ghetto and your hideous overpriced plastic boxes are not anyone’s “catalyst”, Patrick Sullivan! Potential buyers, do your research. The asking prices for these houses are way out of line with other comparable houses in the neighborhood. Sure, blame the city for your own miscalculations. I am not warming up to this. The purpose of the alley flat initiative in places like Austin and Seattle is to provide affordable housing to help alleviate the housing shortage by building small modest homes or repurposing older building, such as garages, in alleyways. This project is nothing like that. It’s all about expensive taller houses that block the views of neighbors. This style is all over dc and is so ugly. Houses in rva will be built like this from now on. The revenue margin is too good to ignore. Common areas in alleys will be lost. “modern to the core” or ugly to the core? take your pick. The neighbors should be justifiably angry.